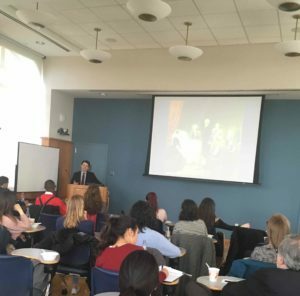 Dr. Matthew Costello presents his lecture, “Living and Dying in the White House: Treating America’s First Families” at Columbia University. 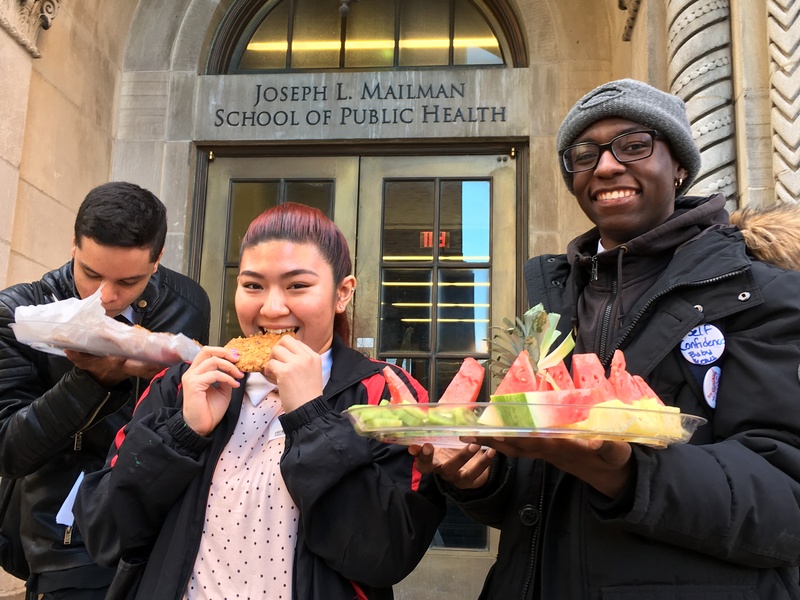 While many students and faculty members used this April’s break as a way to rest and recharge for the final weeks of the 2017-2018 school year, some of WHSAD’s community members continued learning. WHSAD students Adria Lee, Trevon West, and Juan Valencia, accompanied by Freshman teacher Ms. Sandra Spaziana, attended Dr. Matthew Costello and Heather Butts’ lecture, “Living and Dying in the White House: Treating America’s First Families,” at Columbia University. 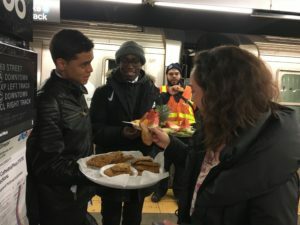 The program provided students with the opportunity not only to learn more about United States’ history but also to reconnect with Dr. Costello who provided a White House tour for this same group of students during the February break. Below, Heather Butts and Trevon West share their thoughts about the day. Juan Valencia and Trevon West brightening a New York City resident’s morning with cookies and fruit. The perks of attending Columbia lectures! 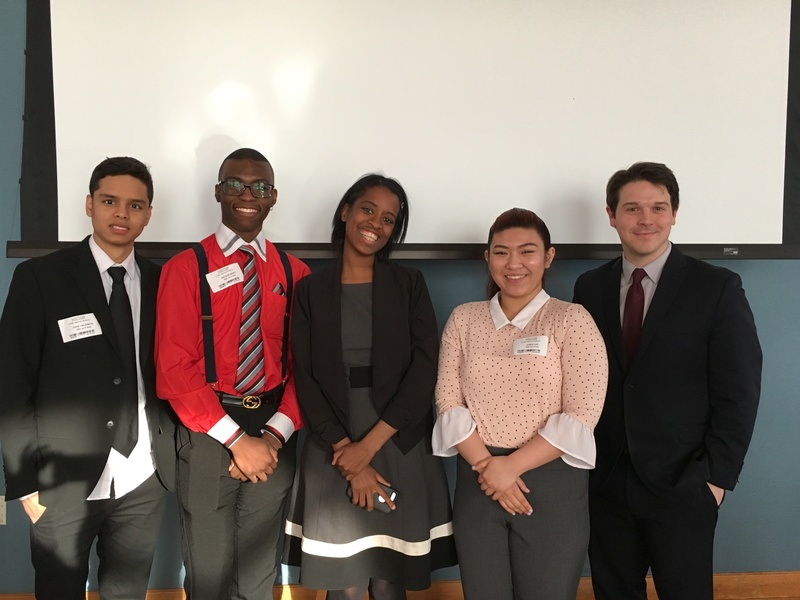 On April 5, WHSAD students Adria Lee , Juan Valencia, and Trevon West, along with teacher Ms. Spaziani and Health for Youths Founder Heather Butts attended a presentation at Columbia University led by Dr. Matthew Costello. 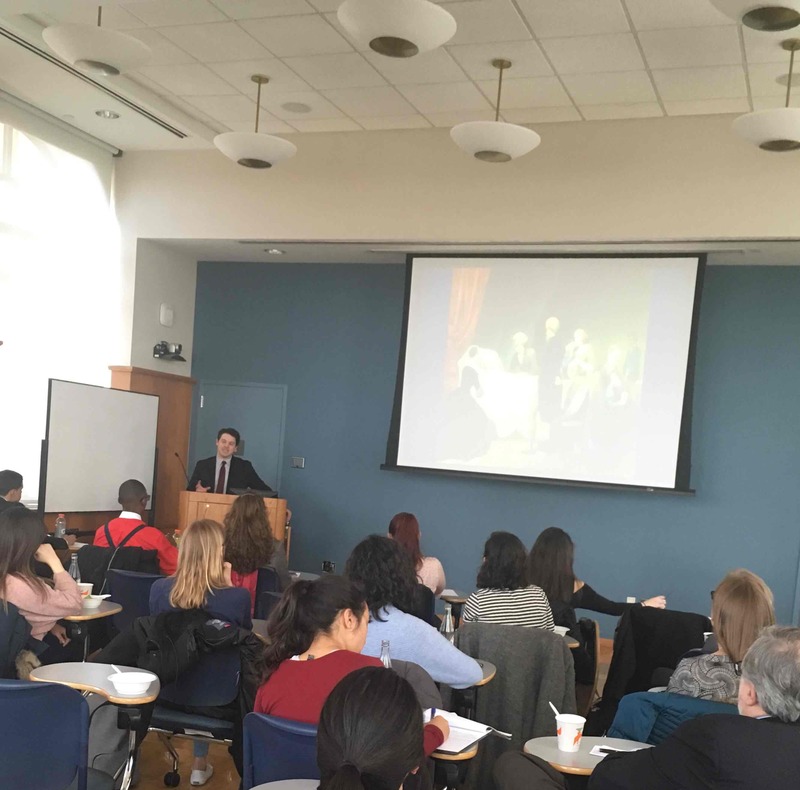 The presentation itself was about the history of illness, disease and death in the White House. The students were chosen because they took a private tour of the White House also led by Matthew Costello. This was important information for the students to learn because it is essential to know the history of the country you’re residing in. Increasing your knowledge of history could not only help you in school but your daily life as well.